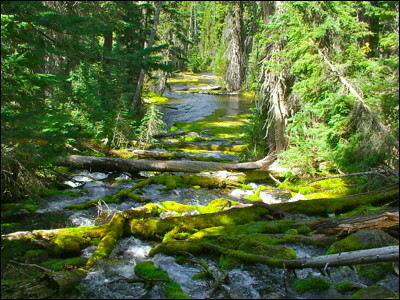 Images from Boundary Springs, the headwaters of the Rogue River of southwest Oregon. It is called Boundary Springs because it is located near the northern boundary of Crater Lake National Park. The Takelmas call it Gwent'agabok'danda, "the nape of the earth, its neck." The Takelma world is a great animal and the Rogue River is the lifeblood of that animal. The head is Crater Lake, the neck is Boundary springs, the ribs are the Table Rocks, and the "rear end of the earth, its tail" is at Gold Beach, the mouth of the Rogue. These photos were taken on the last day of summer, September 22, 2011.